Getting ahead of the issue before it happens with proactive messaging is key to making change, farm vets have said. Dog attacks on livestock are a lose-lose situation and jeopardise farmers’ duty of animal welfare. 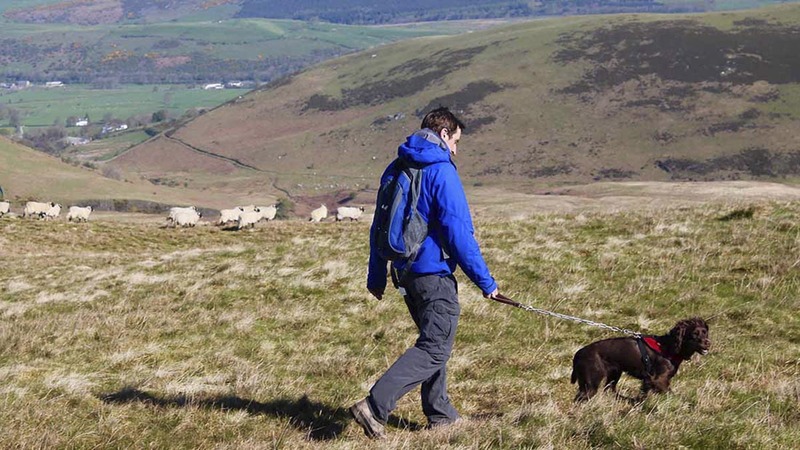 Veterinary surgeon Kaz Strycharczyk of Black Sheep Farm Health, Northumberland, told Farmers Guardian dog walkers were ‘still quite blasé’ about the topic despite it having a social and economic impact on farmers. He said: “All dogs have that predation instinct and it is amazing how when they get off the lead how their natural behaviours expose themselves. Getting ahead of the issue before it happens with proactive messaging is key to making change, Mr Strycharczyk said. But farmers were facing huge economic impact in paying for a vet to euthanise animals or to ‘stitch them back together’, as well as having to deal with the implications of lower scanning rates and abortion. And the impact of neospora was another knock-on effect for farmers, with dogs a major host for a number of livestock parasites and the infection the most common cause of abortion in cattle. It parallels research from NFU Scotland which found 100 per cent of 340 responses to a survey in December last year said they had an issue with dog fouling on their land – including plastic bag pollution. “It is inherently preventable,” he said. “Responsible dog ownership is not complex. Scarsdale Veterinary Group farm vet Rob Howard said impacts from dogs attacks on scanned rates could be ‘massive’ and often failed to be appreciated. He said: “Where the farmer is most aggravated is where people have been watching their dogs do it and they do not see it as a big deal. Maybe the dog is just chasing the sheep and not attacking. “If an attack is severe it usually requires a lot of surgery time to patch them back together, and then a course of antibiotics. You will need at least three First Class or Second Class stamps on to cover postage costs. We will be able send up to 25 signs.